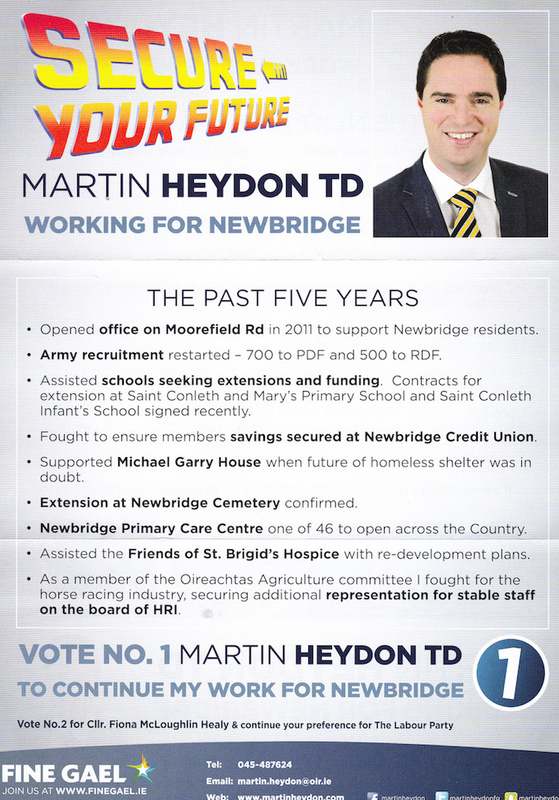 A “Back To The Future” style leaflet from Martin Heydon who is running for Fine Gael in Kildare South. 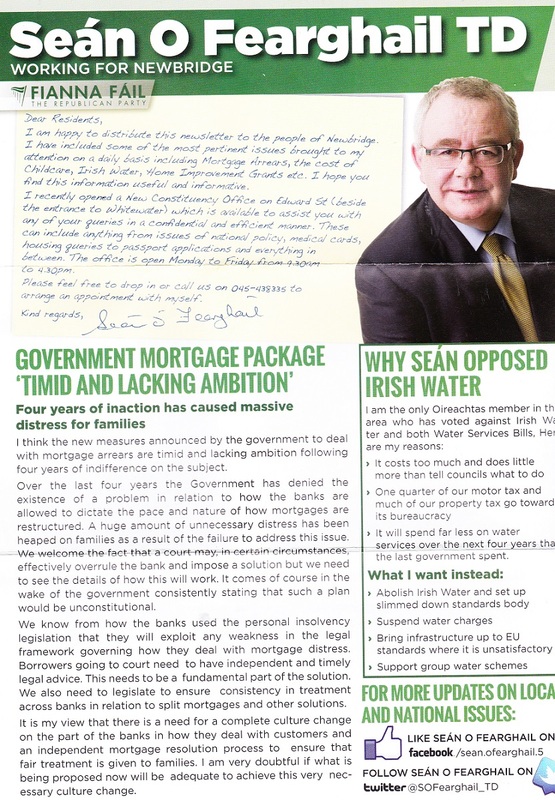 A leaflet from Declan Crowe who is running as an Independent anti Water Charges Campaigner in Kildare South. The Litir um Thoghchán from Fine Gael candidates in Kildare South Fiona McLoughlin Healy and Martin Heydon. 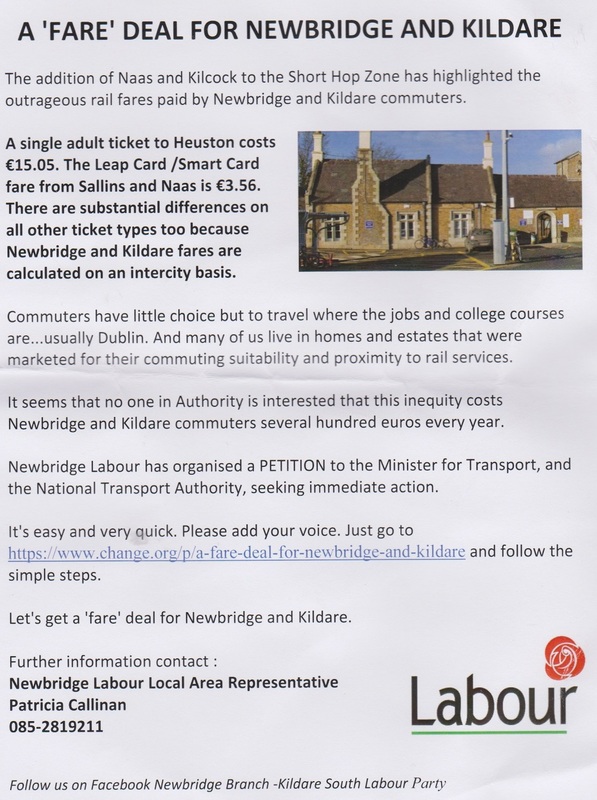 A leaflet from Fianna Fail TD Seán O Fearghail who is running in Kildare South.